When thinking of home remodeling projects, you likely imagine a spring start date. You’ve just now recovered from the holidays and the cold temperatures don’t have you inspired to do much home improving. However, winter can actually be an ideal time to complete those projects you’ve been sitting on. Not so sure? Here are 3 reasons why winter is a great time to remodel your Northern Colorado home. 1. Contractors have more availability. Contractors have more time to think, plan, give your project their undivided attention in the winter. In the spring, everyone wants a fresh start—and that includes planning for a home remodel. March through September is the absolute busiest time for contractors (and the most expensive time for you to remodel!). 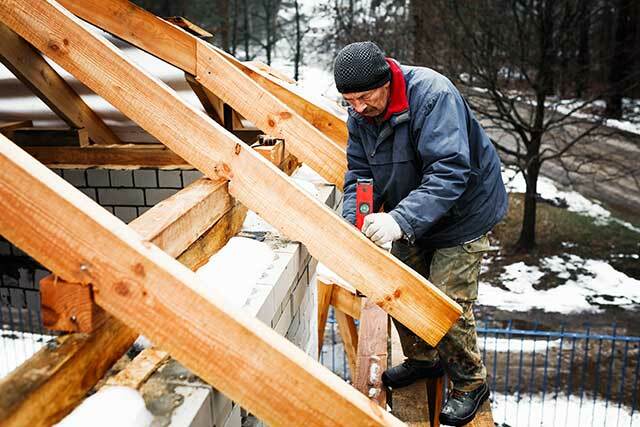 If you’re looking for more one-on-one attention with your contractor, winter is actually the most ideal time. 2. You can avoid price increases. Contractors know their busiest months are from March to September. During this time of year, standard rates will apply to all services—and very seldom will special offers be valid. Working with a reputable contractor at a reduced rate is much easier to do in winter simply because they have less on their plate and want to fill time with meaningful work. Manufacturers of home remodeling supplies also understand the cyclical nature of renovations. New product lines and upgrades come during the spring—so, to clear their shelves, they often reduce last-season product costs for contractors in the winter. 3. You’ll likely get approval faster, too. Remodeling a home doesn’t stop with the contractor—you’ve got to get all the right permits, too. Local governments can be slow to perform approvals when the busy season comes. Working with a contractor and the local governments on permit approvals will be much easier during the colder months of the year. If you’re working on a major home remodel, it’s also much easier to find and schedule an inspector visit this time of year. When all of these red tape processes move more quickly, this means you can likely complete your home remodel in a shorter period of time. Even during the winter months, our team is happy to answer any questions you may have about the home improvement process, cost, and our process and schedule a consultation ASAP.